Gems Warrick liquid level sensors are available in three probe models. 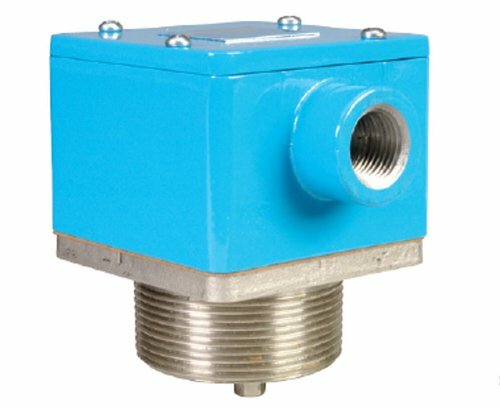 The versatility of the Warrick design makes these sensors ideal for a diverse range of applications. It includes food and beverage, pharmaceuticals, caustics and acids, boilers and steam generators, sumps, ponds, reservoirs, sewage and wastewater. These Warrick fitting are designed for OEM use. Series 3E fittings are cast metal, pressure-tight assemblies capable of handling 3 probes. Attachment to vessels is accomplished with external pipe threading. 3E Fittings require the use of 3R rigid or 3W wire suspended electrodes. Terminal housing material: Die-cast aluminum, epoxy coated. Pressure rating: 125 psig at 353 degree F. Conduit boss thread size: 1/2" NPT. Terminal housing measures 3-1/4" width by 2-3/8" height by 3-1/4" depth. U.L. File #MP2489, Vol. 1 Sec. 1; CSA; FM.